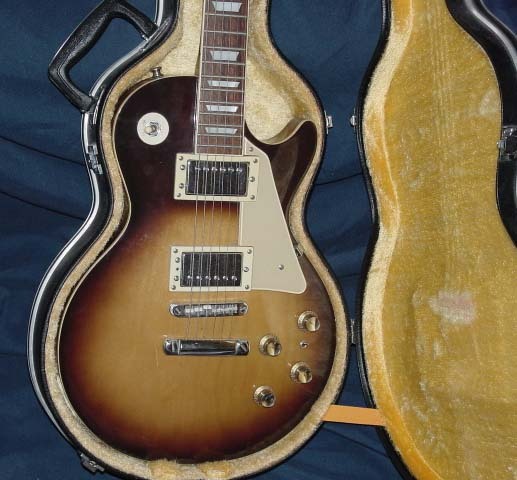 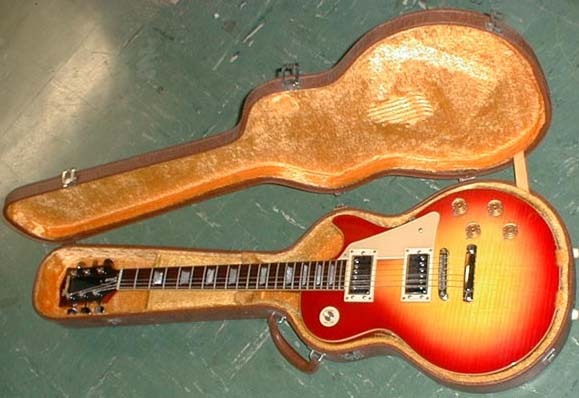 The Deluxe was a Les Paul copy similar to Gimmie except it had center-peaked head, metal-covered humbuckers, white elevated pick guards, and necks with a heel. 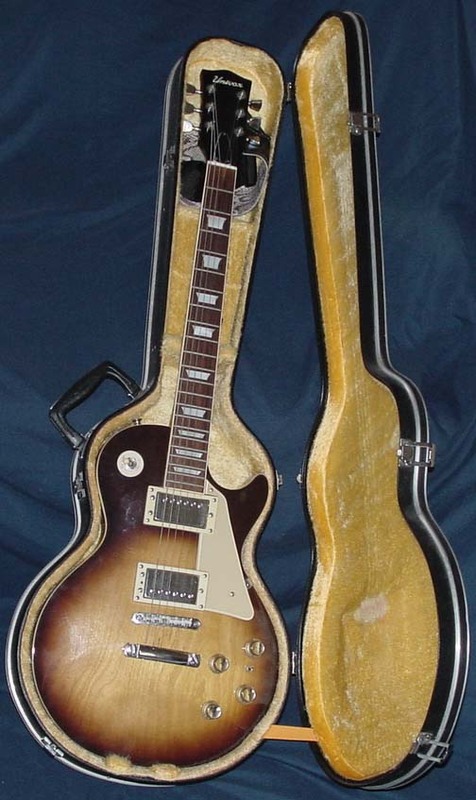 Also had bound rosewood board w/ square ends, logo was script inlay, 2 volumes and tones. 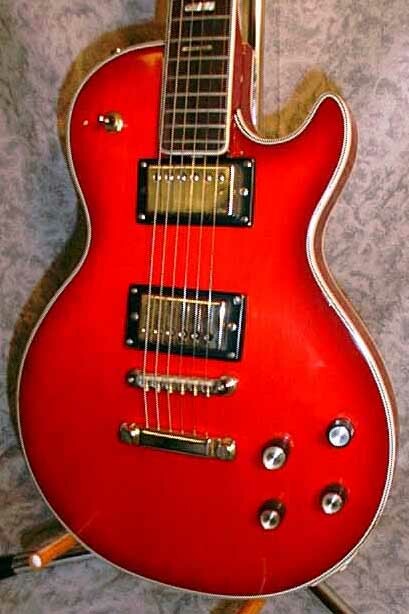 There were 3 finishes available over a mildly flamed top, cherry sunburst (1 2 3 4) (U1880), natural (U1881), wine red (1,2) (U1882) and gold.